Bathe your baby every other day with lukewarm water. Clean your newborn’s bottom with a fresh, damp cloth instead of baby wipes. For diaper rash, Ronna Schneider, M.D., owner of Suburban Pediatric Associates, recommends applying a barrier layer of diaper cream. Then the next soiling won’t cause more irritation. Pat your baby dry after a bath. Apply cream or ointment (not baby oil) to seal in moisture, Schneider says. Choose natural products with few ingredients, preferably hypoallergenic and dye- and fragrance-free, monitoring skin for reactions. No sunscreen or direct sun for the first six months. 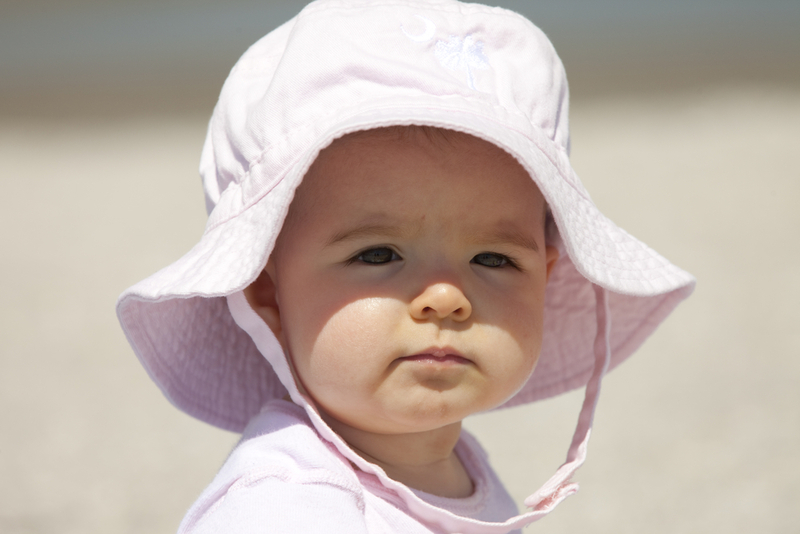 Use hats for older babies, and apply a PABA-free, broad-spectrum sunscreen with an SPF of 30 or higher. Early sun damage is linked to skin cancer; take care so that your little one’s precious skin lasts a lifetime.